Recent data collected by the National Association of State Retirement Administrators show that state and local pension plans continue to lower return assumptions. The majority of the 129 plans observed in its study have long-term return assumptions below 7.5%. NASRA also noted that 30% of those plans reduced their return assumptions since February 2018. Central banks' low interest rate policy has been the prime mover of falling return assumptions since the global financial crisis, pushing forward return estimates lower across all asset classes. 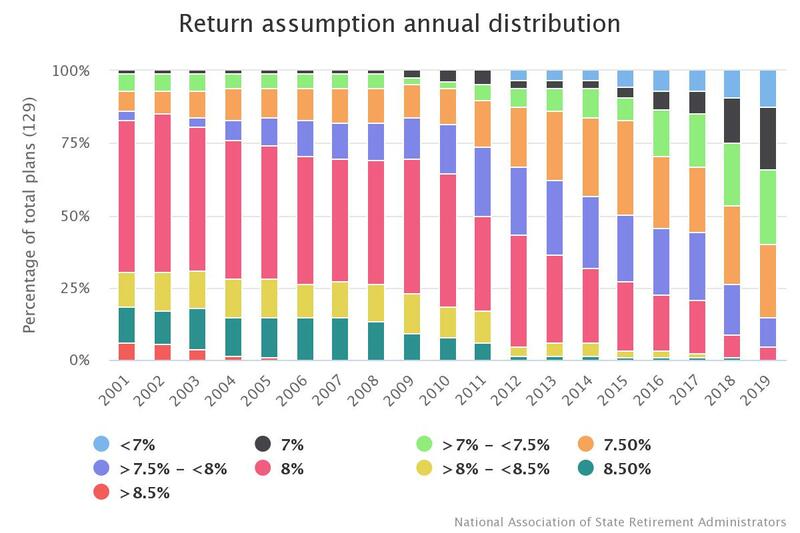 NASRA notes that the average return assumption for a U.S. public pension plan in 2010 was 7.91%; that number now is about 7.27%.